Valentine's Day is right around the corner, and ExpressWeddingFavors.com has love themed wedding favors for those couples who have decided to get married on the most romantic day of the year. A love theme is the perfect fit for a Valentine's Day wedding, so you will want to choose favors that not only go with the love theme, but also match with your color choices for your wedding reception. 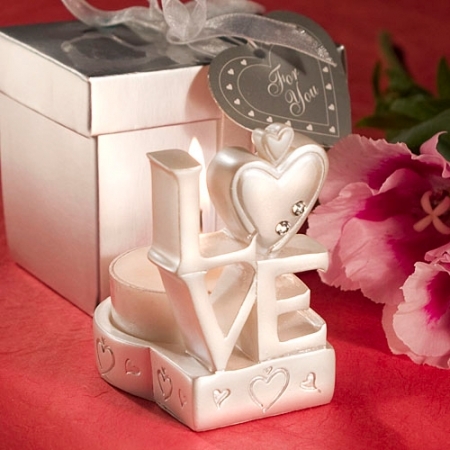 There are many different types of love wedding favors to choose from for any wedding style from elegant and chic, to fun and festive. 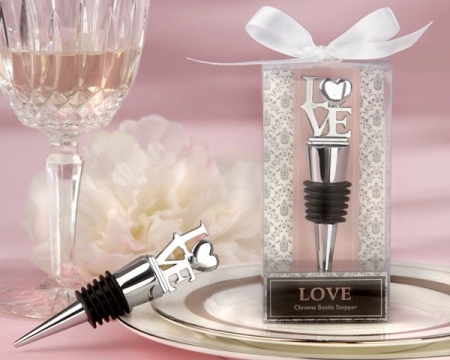 The most popular type of love wedding favors are the bottle stopper favors. 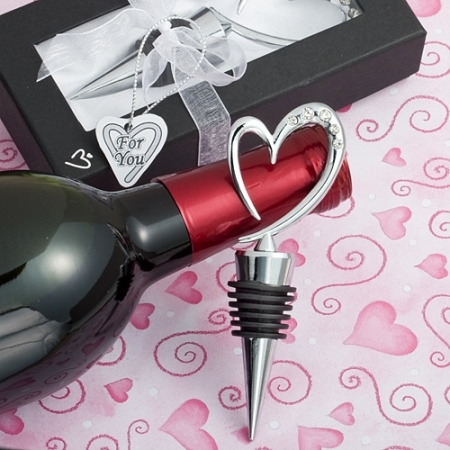 There is a wide variety of love themed bottle stoppers for you to choose from. Whether you like a stopper with a heart shaped top, or you prefer a stopper that actually features the word “LOVE” on it, you will find a love themed bottle stopper that will match your style. If you want a love themed wedding favor that will make your guests smile, consider something more unusual. 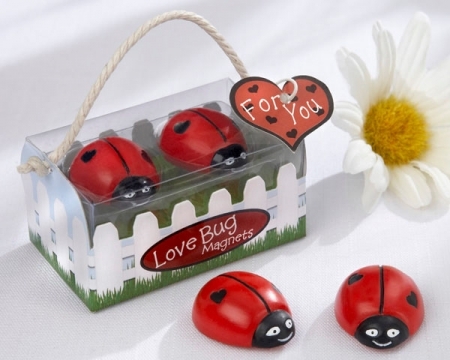 The "Love Bug" Ladybug Magnets are a fun favor that is whimsically packaged in a garden themed gift box that is sure to amuse everyone. 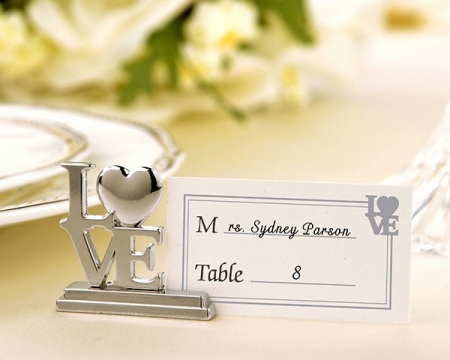 For a more personal touch, consider filling out personalized place cards for each guest with the LOVE Place Card Holder/Photo Holder with Matching Place Card. After your wedding day is over, your guests can use the place card holders to hold a business card or a photo at home. Don't forget the cake topper to complete your love theme! 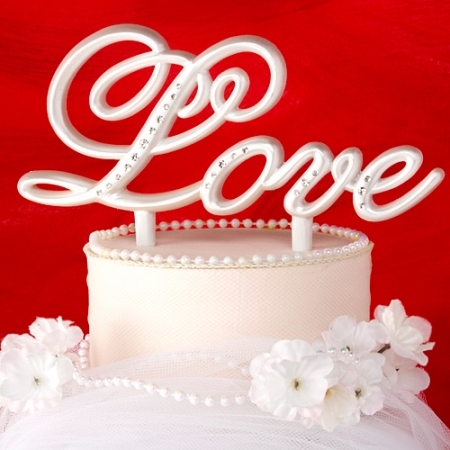 This "Love" Themed Cake Topper will put the finishing touch on your love filled day. Valentine's Day is right around the corner, but there is still time to order your love themed wedding favors to complete your big day!